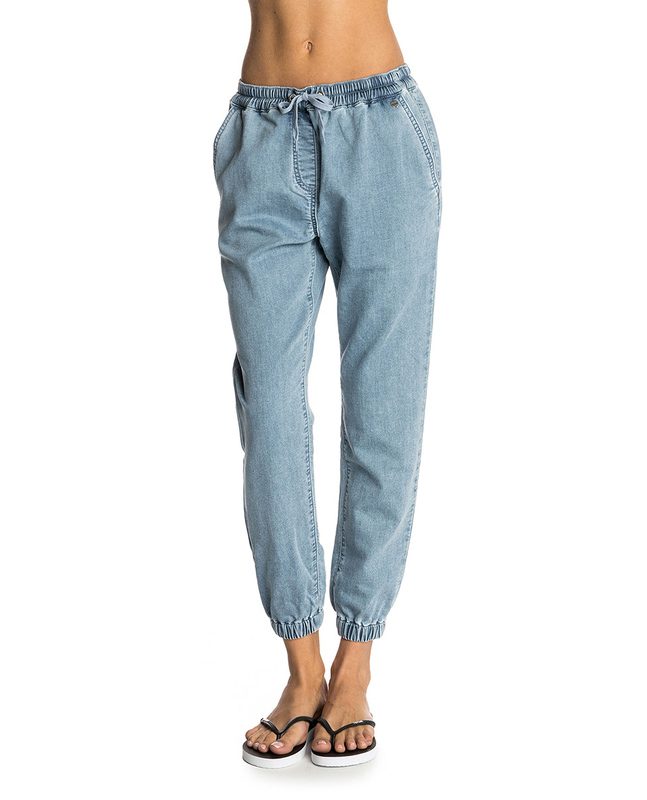 Denim jogging trousers are comfortable and practical, with side pockets and an elasticated waistband. 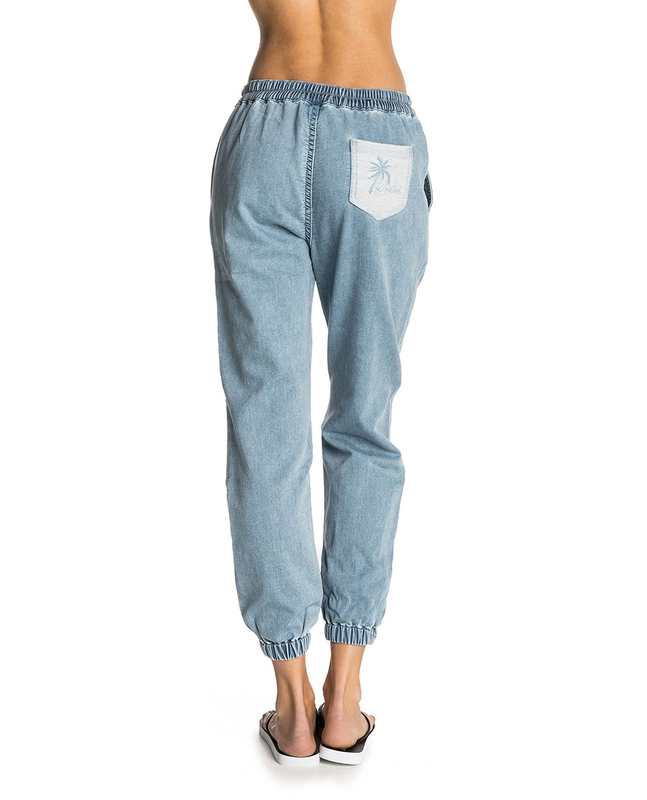 The rear pocket features an embroidered “palm tree” and narrows at the ankles for a chino look. The perfect companion for relaxed holidays.